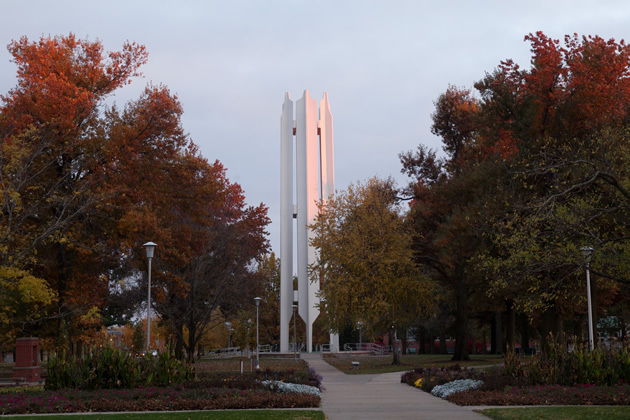 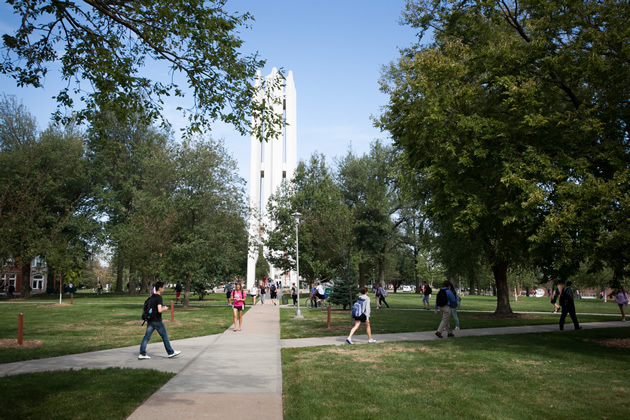 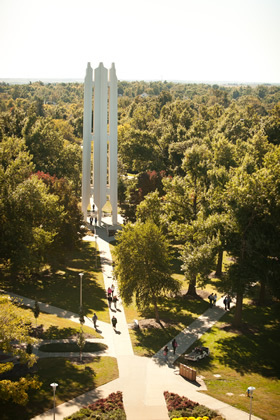 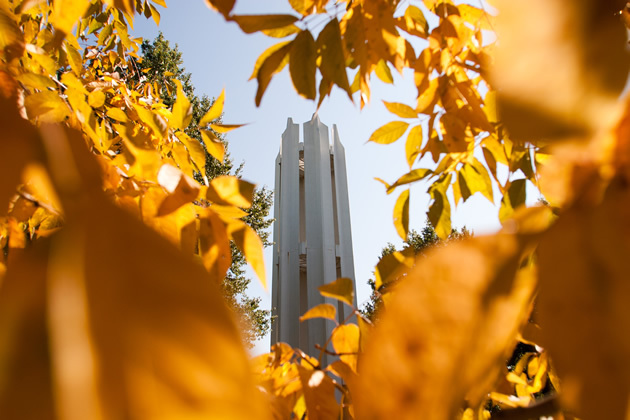 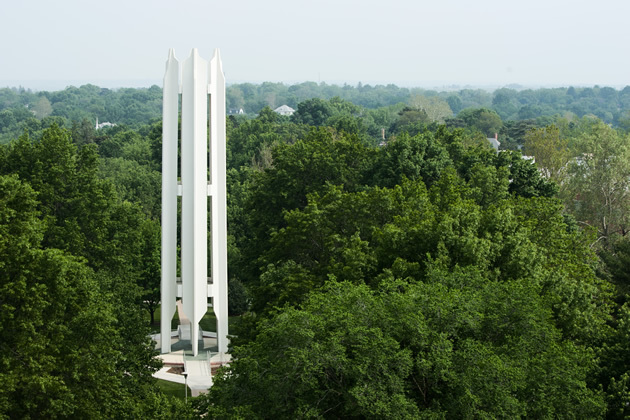 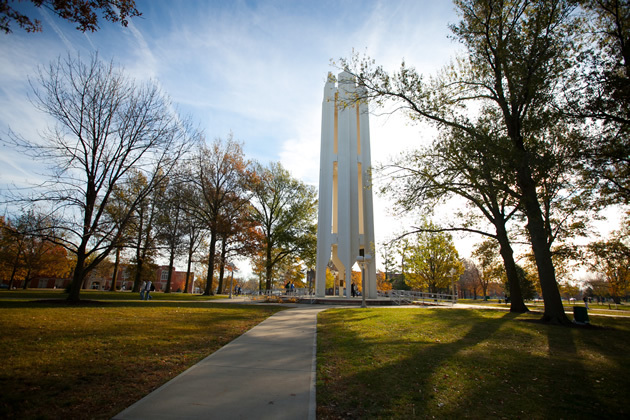 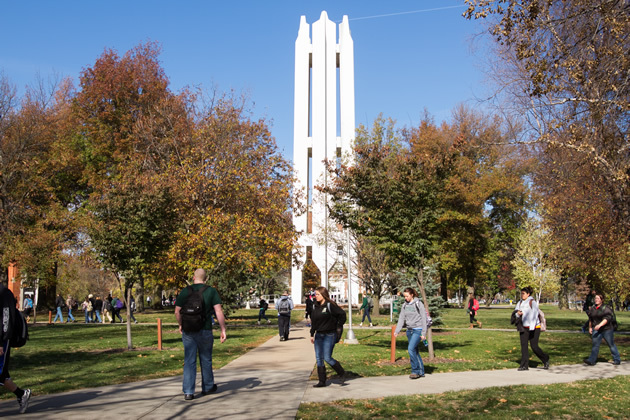 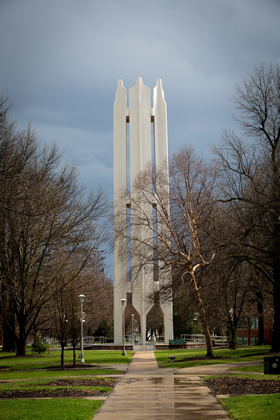 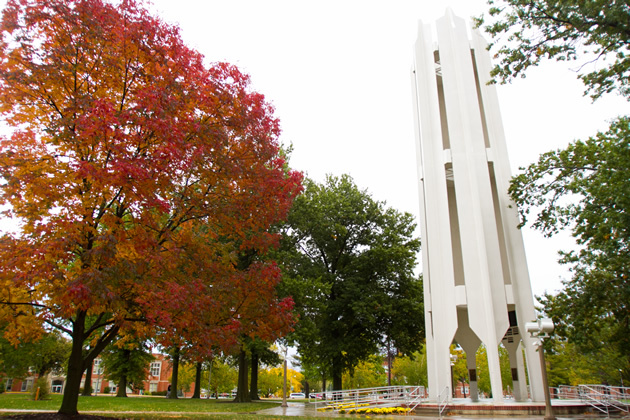 The Memorial Bell Tower was the brainchild of Northwest President Robert Foster, who wanted a lasting memorial to the men and women who had served in World War II. 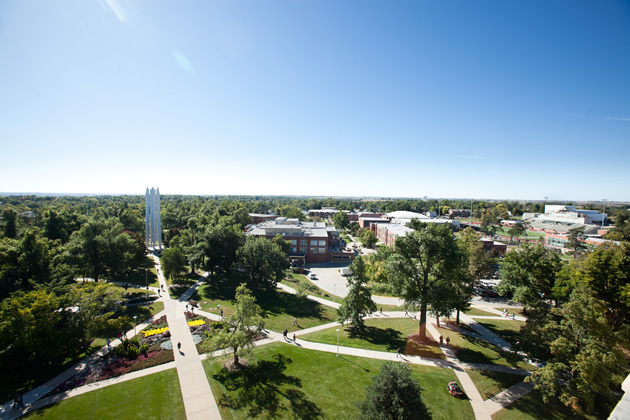 Foster's years at the helm were marked by rapid growth, and he presided over numerous capital projects, including construction of the high rise residence halls, the Valk Industrial Arts Building and the Garrett-Strong Mathematics and Science Building. 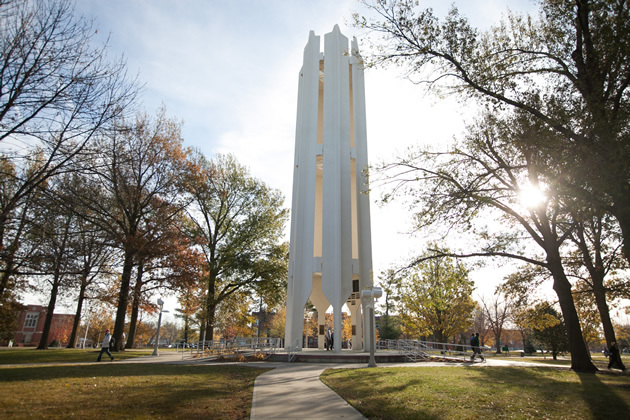 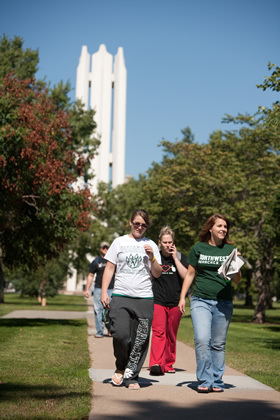 The Foster administration also worked to bring about the name change to Northwest Missouri State University in 1972 and put a number of programs in place in keeping with the institution's expanded mission.